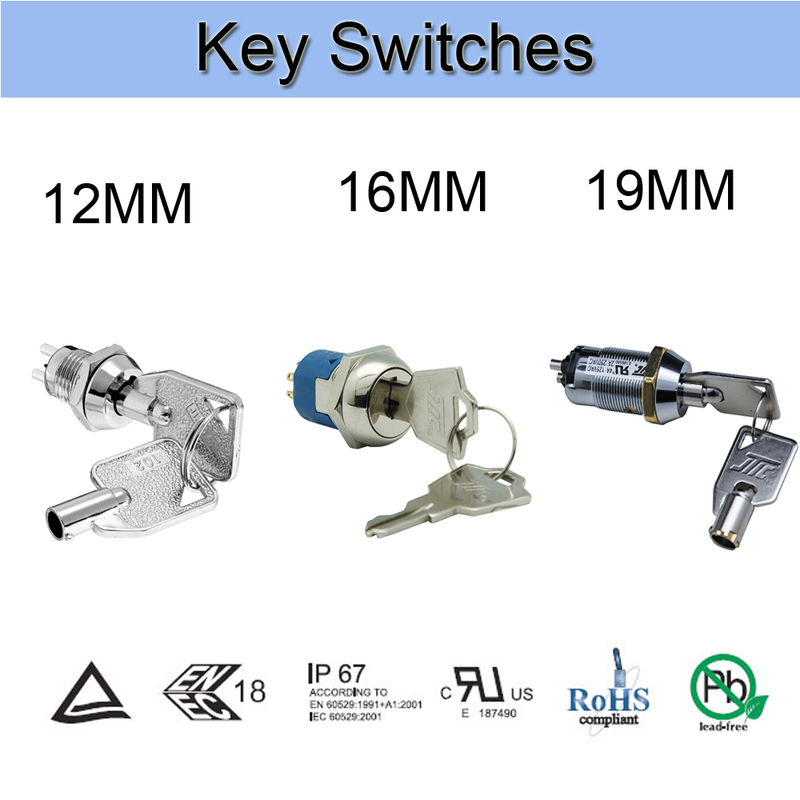 Product categories of UL Certified Switches, we are specialized manufacturers from China, Key Operated Electrical Switch, Key Lock Electrical Switches suppliers/factory, wholesale high-quality products of Momentary Key Switch R & D and manufacturing, we have the perfect after-sales service and technical support. Look forward to your cooperation! Our UL Certified Switches are mainly 3 Position Key Switch with 19mm Installation size. This series is a representative , competitive and hot product in our products catalog. UL Certified Electric Key Switch, which indicates the Key Switches that have UL certification. The UL Safety Laboratory is the most authoritative in the United States and the largest private institution in the world for safety testing and identification. 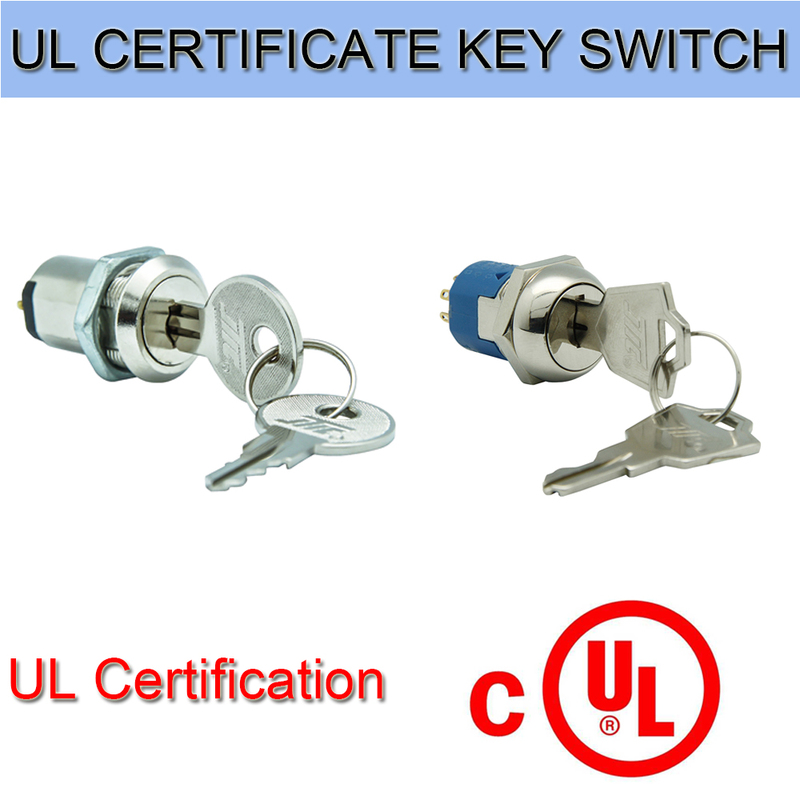 Our company has UL certification testing equipment, so that UL certification series Key Lock Electrical Switches products meet international standard so could meet our customer`s needs. We are devote to supplying high-quality and excellent products to our customers with the Quality management testing, supplier management, feed inspection, in-process inspection, finished product inspection, measurement ,instrument management, final personnel training , high-class quality concepts. We are always insisted on the quality of the Key Lock Switch, so our key switches with supreme quality could be investigated. If the client receive abnormal quality, the quality team meeting will be held actively to rigorously analyze the cause of the Abnormal product and make the correct solution. The same batch of materials should be separated in time to ensure that similar quality anomalies wont happen again, so we could achieve the goal that corrective and preventive measures are taken to make efficient solutions for the UL series of Key Switches used by customers.